If you are looking to breathe a second life into your old Kindle e-Reader Jaap Meijers has a new method that turns it into a literary clock. 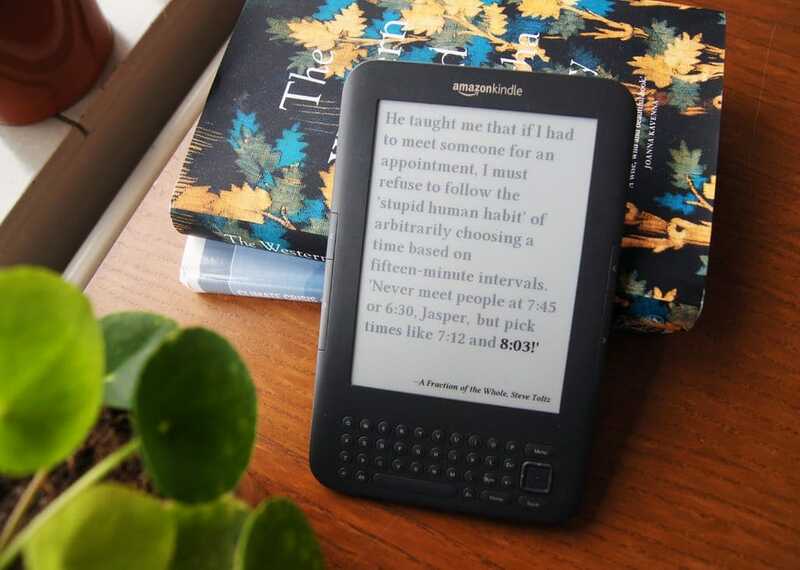 His girlfriend is an avid reader and wanted a clock for their living room and he decided to write some software for the Kindle that tells the time by quoting time indications from literary works. The Kindle updates every minute and pulls the exact time from a famous book. The time is in bold, so it will either be spelled out or a numerical value will be provided. All you need is an old Kindle and some software to jailbreak it, but the developer says since the e-reader is your property, you don’t have to worry about any ramifications. The time is based on a series of screensavers and since it is updated once a minute, you should get a two to three weeks of battery life. Tried this on an old Kindle DX but it’s not working. I suspect the system is just too old.